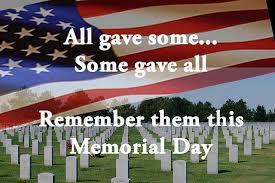 We just wanted to remind everyone that we will be closed on Monday, May 28th for Memorial Day! We hope you all have a safe and fun weekend! 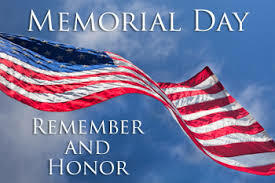 Let us all remember those who did give their lives to keep our country safe, secure, and the greatest nation in the world! Their sacrifice will forever be remembered and honored.